This weekend at Darlington Raceway, Denny Hamlin’s No. 11 car will sport a special paint scheme honoring Hall of Fame member Cale Yarborough. The Timmonsville, S.C. native won 55 races in a car numbered 11. 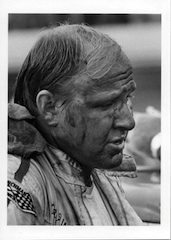 Yarborough also won 13 races in a car numbered 21 and fielded by the Wood Brothers of Stuart, Va.
Yarborough had just one victory in the series, now known as Sprint Cup — on the half-mile dirt track in Valdosta, Ga — when he was hired by the Woods midway through the 1966 season. He scored his first major victory the next year, when he sat on the pole and won at Atlanta. 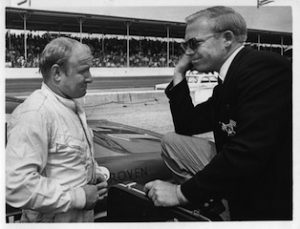 It wasn’t until 1968 that he began to deliver the kind of results that Ford executive Charlie Gray had in mind, when he convinced the Woods to put the relatively inexperienced Yarborough in their potent No. 21 Fords and Mercurys. Yarborough won the Daytona 500 and the Firecracker 400 at Daytona. He won the spring race at Atlanta and the first Martinsville race. 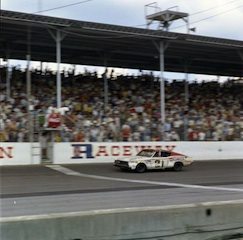 The fifth of his six wins that season, in the Southern 500 at Darlington Raceway; however, was a special one for both driver and team. 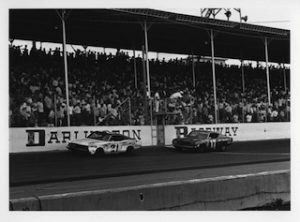 It was the first of five victories at his home track for Yarborough, and the first of eight at Darlington for the Wood Brothers. Leonard Wood, the team’s crew chief in those days, recalled that Yarborough was sick heading into one of the most grueling races on the schedule. While the driver wasn’t feeling up to par, his car was. He qualified on the outside pole and led the first 16 laps. Wood said that; then and now, the secret to success at Darlington, is having a fast car from the time it’s unloaded. “You set your wedge and handling like you think it ought to be.” Wood said. “If you didn’t hit it right on the money in the first practice, you wound up working for it. Yarborough led 169 of 364 laps that day, but his biggest challenge came from a fellow South Carolinian who would go on to drive the No. 21 – David Pearson. As was his style, Pearson, driving the Holman-Moody Ford, stalked Yarborough as the laps began to wind down. When he made his move at Lap 320, the two cars touched. Yarborough bounced off the guardrail while Pearson spun into the grass. Even though the caution flag never flew, Pearson caught Yarborough again, but was unable to wrestle the lead from him. In his post-race comments, as reported in Greg Fielden’s Forty Years of Stock Car Racing, Yarborough credited his victory to a decision by the Woods to switch brands of tires early in the race, even though it meant losing two laps. “The tire change was the key to our victory,” he said. Leonard Wood said changing tire brands in mid-race isn’t as radical as it sounds today. Wood said when Yarborough was driving the No.21, the hard-charging style he showed that day at Darlington was always evident. Wood said in the years since, Yarborough, who was named Ford’s Man of the Year in 1968, has remained close to his old team.